Irwin H. Steinhorn is of counsel in the law firm of Conner & Winters, LLP, a full service law firm with offices in Oklahoma City, Oklahoma; Tulsa, Oklahoma; Northwest Arkansas; Dallas, Texas; Houston, Texas; and Washington, D.C. Prior to joining Conner & Winters, Mr. Steinhorn was a member of the law firm of Hastie and Kirschner of Oklahoma City. From 1986 to 1988, Mr. Steinhorn was Vice President and General Counsel of USPCI, Inc., a hazardous waste management company listed on the New York Stock Exchange. From 1971 to 1986, Mr. Steinhorn served as Senior Vice President and General Counsel of LSB Industries, Inc., a diversified industrial company listed on the New York Stock Exchange. Prior to joining LSB, Mr. Steinhorn was a partner in a law firm in Dallas, Texas. Mr. Steinhorn received both an undergraduate degree (Bachelor of Business Administration) and a law degree from the University of Texas at Austin. From 1979 through 2009, Mr. Steinhorn served as an adjunct professor of law at Oklahoma City University School of Law teaching courses in “Corporations,” “Agency/Partnership and Limited Liability Company Law”, “Securities Regulations” and seminars in “Advanced Corporate Law”. Mr. Steinhorn authored “Corporate Compliance Under the Regulations Implementing Sarbanes-Oxley” – Consumer Finance Law, Quarterly Report, Vol. 60, No. 1, Spring, 2006. In addition, Mr. Steinhorn has been a lecturer at the following seminars: Annual Meeting of the Business Association Section of the Oklahoma Bar Association, 1983, “Stockholder Derivative Actions”; Oklahoma City University School of Law, 1984, “Securities Aspects of Mergers and Acquisitions”; University of Oklahoma School of Law, 1986, “New Oklahoma General Corporation Act” (Oklahoma City and Tulsa, Oklahoma); Oklahoma City University School of Law, 1986, “New Oklahoma General Corporation Act”; Oklahoma City University School of Law, 1987, “Corporations and Corporate Law”; Oklahoma City University School of Law, 1988, “Representing the Closely-Held Corporation”; Government Institutes, Inc., 1988, “RCRA Regulations Course”; Banking and Commercial Law Section of the Oklahoma Bar Association, 1988, “Practical Guides and Steps in Representing Clients Affected by the Comprehensive Environmental Response, Compensation and Liability Act, Superfund”; University of Oklahoma School of Law, 1990, “Environmental Law: Hazardous Waste in the ’90’s”; University of Oklahoma School of Law, 1990, “Corporate Law Institute”; University of Oklahoma School of Law, 1991, “Second Annual Environmental Law Institute”; University of Oklahoma School of Law, 1991, “Second Annual Corporate Law Institute”; University of Oklahoma School of Law, 1992, “Third Annual Environ­mental Law Institute”; Oklahoma Bar Association, 1992, “Environmental Law - The Basics From A to Z” (Oklahoma City and Tulsa); University of Oklahoma School of Law, 1992, “Third Annual Corporate Law Institute; University of Oklahoma School of Law, 1993, “Fourth Annual Environmental Law Seminar”; University of Oklahoma School of Law, 1993, “Fourth Annual Corporate Law Institute”; The Cambridge Institute, 1999, “Mergers & Acquisitions”, Tulsa, Oklahoma; Oklahoma Bar Association, 2002, “Being House Counsel - The Ins and Outs” (Oklahoma City); Oklahoma City University School of Law, 2002, “Public Company Disclosure and Governance in the Post-Enron World”; Oklahoma Bar Association and The Conference on Consumer Finance Law, 2002, “2002 Commercial Law Update - Impact of Recent Events and Sarbanes-Oxley on Corporate Governance, Accounting and Securities Law Issues”; keynote speaker “Corporate Governance Under Sarbanes-Oxley” – 21st Annual Business Symposium – University of Central Oklahoma – 2004; and Oklahoma Bar Review CLE and the Conference on Consumer Finance Law, 2004 – “Corporate Compliance Under Sarbanes-Oxley”. In addition to being a lecturer, Mr. Steinhorn was also the organizer and moderator at many of the above-listed seminars. Mr. Steinhorn has represented clients in numerous international transactions, having negotiated technology transfer, acquisition and other types of agreements in numerous foreign countries, including the former Soviet Union, Romania, Yugoslavia, Italy, Israel, Egypt, Mexico, Venezuela, Colombia, Japan, Indonesia, and Australia. Mr. Steinhorn is a member of the Oklahoma, Oklahoma County, Texas, Dallas County and American Bar Associations and has also served as Secretary-Treasurer (1986-1987), Chairman-Elect (1987-1988) and Chairman (1988-1989) of the Business Association Section of the Oklahoma Bar Association. Mr. Steinhorn is currently serving as a member of the Executive Advisory Board of the Oklahoma City University School of Law. 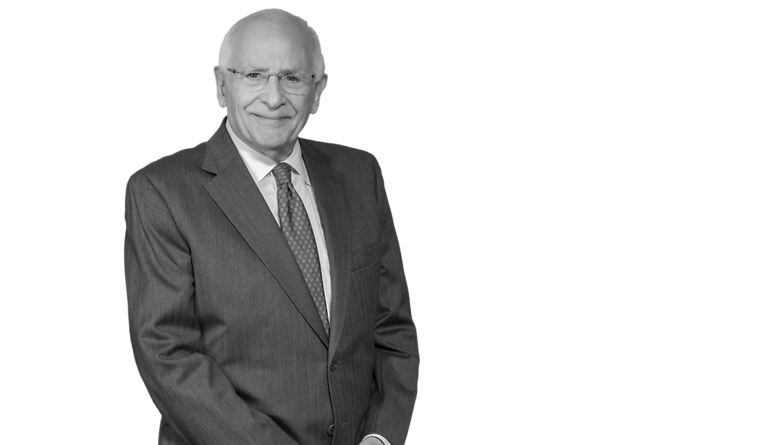 Since its inception in 1984, Mr. Steinhorn has served on the Oklahoma Business Corporation Act Committee, which drafted the Oklahoma General Corporation Act, and from 1986-1994, Mr. Steinhorn was a member of the Advisory Committee to the Oklahoma Securities Commission. Since 1999, Mr. Steinhorn has served as the representative for the state of Oklahoma with the American Bar Association’s Business Law Section Committee on Corporate Laws. Mr. Steinhorn was a member of the Board of Directors of the Oklahoma Venture Forum from 2000 to 2004. Mr. Steinhorn is currently serving on the Board of Directors and as Treasurer of the Jewish Federation of Oklahoma City. Mr. Steinhorn was a recipient of the Leadership in Law Award for 2009. Mr. Steinhorn’s areas of practice are “Corporate”, “Securities” and “Environmental Law”. Mr. Steinhorn has an “AV” rating and is listed in The Best Lawyers in America (Corporate and Securities Law/Capital Markets Law), The Bar Register of Preeminent Lawyers, Who’s Who in American Law, Who’s Who in America, Who’s Who of Emerging Leaders in America and Who’s Who in the World. Mr. Steinhorn was named by the Best Lawyers in America as the 2013 Oklahoma City Securities/Capital Markets Law Lawyer of the Year. "Public Company Disclosure and Governance in the Post-Enron World," Oklahoma City University School of Law, 2002. Named the Best Lawyers’ 2013 Oklahoma City Securities / Capital Markets Law "Lawyer of the Year"